By Shaunna Evans 36 Comments · This content may contain affiliate links. Whether your’e going to the zoo or learning about zoos and wild animals from home, there is so much to discover and explore! 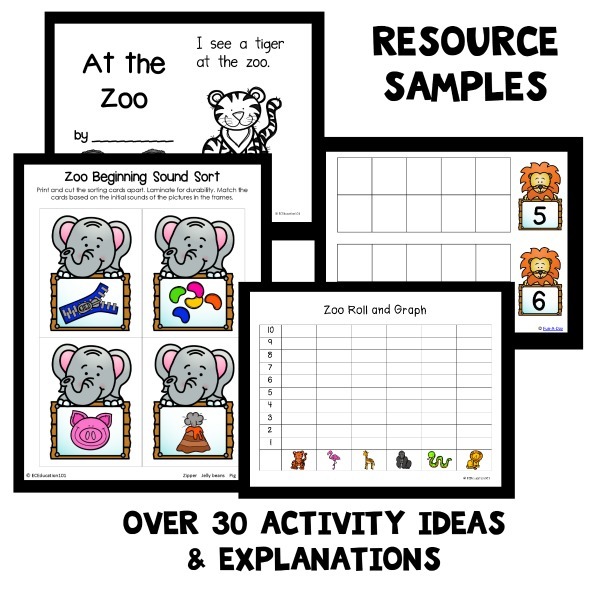 We recently finished our zoo theme for this year, but I’m always collecting new ideas and planning for future themes. 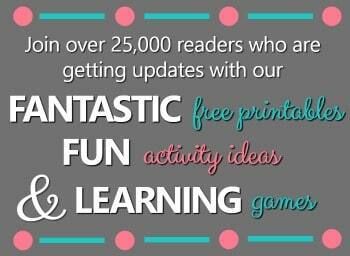 I can’t wait to see what new resources and ideas everyone has to share this week. 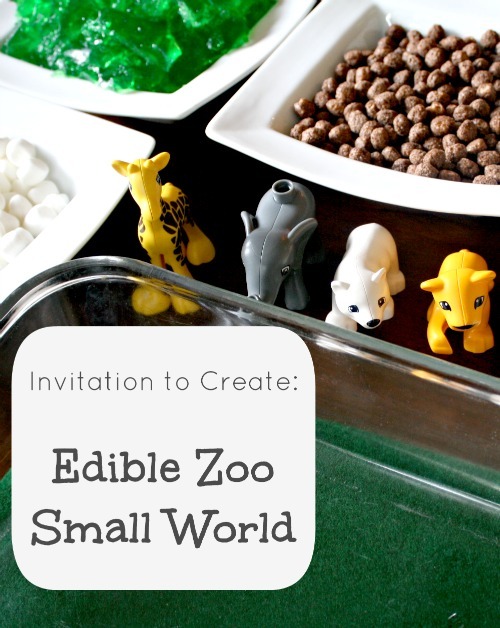 One activity I couldn’t wait to try during our zoo theme was this edible zoo from Blog Me Mom. Not only is the finished product awesome, I love how the whole process was led by the child with a little help from mom. It inspired me to set up this fun invitation to create. While the kids gathered some of our zoo animals, I set up large pans to hold the kids’ zoo creations. They couldn’t wait to get started. We didn’t talk too much about how they would design their zoos, but they quickly began to discuss which foods would be snow, which would be grass, etc. And, to my surprise, nobody dumped all of the foods in the center of their pans in a giant mess! Although that would have been fine, too. Once they were happy with they layout of their edible zoos, they were eager to move the animals in. They spent quite a while playing with the animals, giving them baths, and helping them make new friends with the other animals. … and A LOT of eating when playtime was over! Simple set up, easy clean up, and lots of fun! I hope you’ll give the idea a try sometime soon. 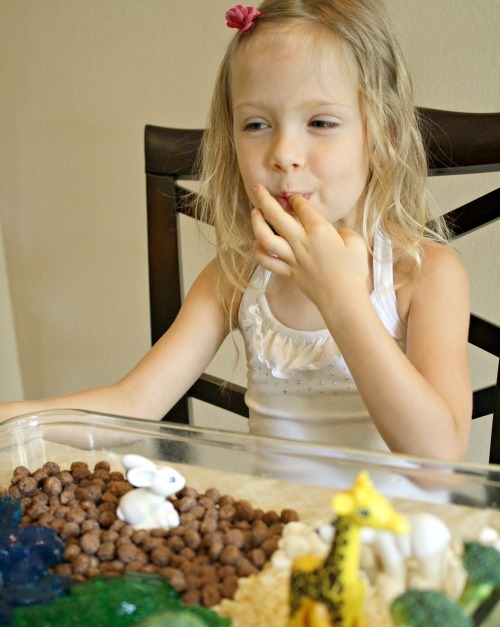 After so many requests from my kids to try this again, we created an edible fish sensory bin that’s perfect for summer sensory play or an ocean theme. oh i love this…i did something similar with my sensory twin who has trouble with a lot of food textures…it made it fun to touch and play with! Glorious photos to tell your story, wishing i was there to have that fun too!! 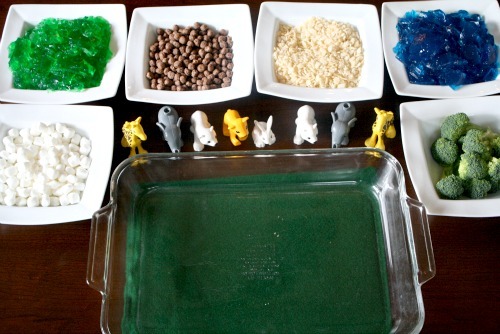 What a fun way to help explore different food textures outside of actually eating them. We had fun playing, too! Absolutely love this idea Shaunna! Looks like it was lots of fun for the kiddos. Pinning! LOVE this idea! My kids will love doing this over the summer! Thanks! We are featuring your post on a HUGE list of Rainy Day Summer Play activities! We will be sharing with all of our followers on our social media sites (including group boards and communities!!) Thanks for sharing with us at Share It Saturday! I saw your HUGE list! It’s awesome. Thanks for including some of our activities. That is super cute! Now I want to make one. I love, love, LOVE this!! 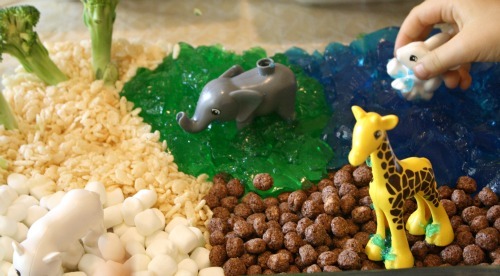 I can totally see my kids building little zoo habitats…and eating them later, lol! I am so glad you shared this at Teach Me Tuesday at Preschool Powol Packets!! Thank you! I hope you guys give it a try sometime! Love this idea! 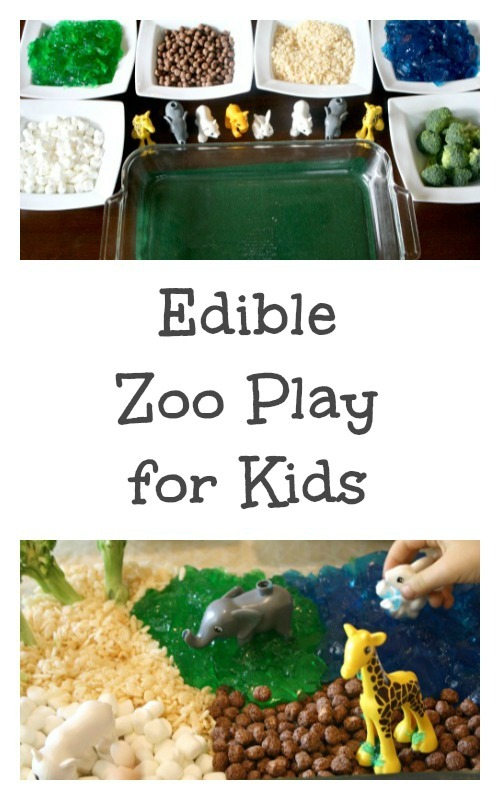 My fussy eaters may even be more inclined to nibble! Big Buddy isn’t pictured in this post, but sometimes he is a bit resistant to different textures. I wasn’t sure what he would think of this activity. At first he started using spoons to transfer the materials, but by the end he was digging in and playing, too. 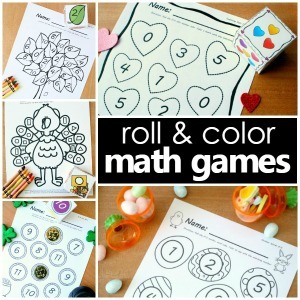 Maybe your preschooler would surprise you! Thank you! I hope you guys get to visit the zoo soon….we always find something new and interesting when we go. This looks like a lot of fun! My daughter would really enjoy this. It was fun! I hope you and your daughter give it a try. I love this! And that you set it up as an invitation…I am gradually moving that way as my twins get a little older and more able to build their own little worlds for play. 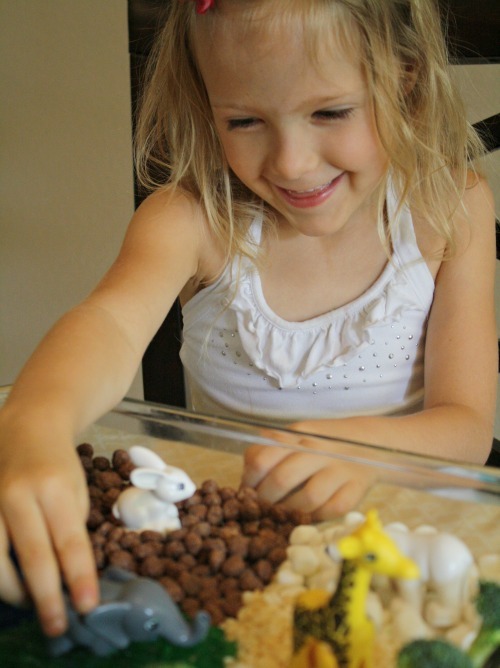 So good for symbolic play, imagination and creativity, and most importantly…FUN!! Thanks! We’ve gradually shifted toward more invitations to play, and the kids and I love it! I love the “invitation to play” idea. I need to more activities like this. However, I am pretty sure that my boys would have dumped everything in the center and made a huge mess! I love the zoo theme too! I spent two summers working in the education department of our local zoo. Two of the best summers of my life. I loved every minute of work! We are really enjoying doing more “invitations to play” lately. I also thought the kids would just dump, but I was surprised at how they were very thoughtful in coming up with their creations. It may have been because we read a few books and talked about the different parts of a zoo for a couple days before this activity. That does sound like an awesome summer job! Thanks! I hope you try it out some time. Oh my goodness, how fun is this?!! !